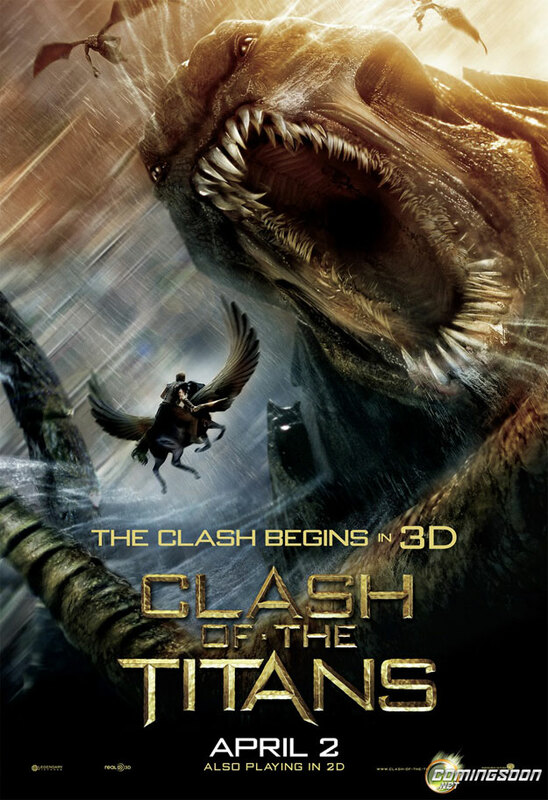 Warner Bros. Pictures has provided us with five new posters for director Louis Leterrier’s Clash of the Titans, coming to theaters in 3D on April 2nd. The anticipated film stars Sam Worthington, Liam Neeson, Ralph Fiennes, Danny Huston, Gemma Arterton, Mads Mikkelsen, Jason Flemyng, Alexa Davalos, Izabella Miko, Nicholas Hoult and Pete Postlethwaite. You can click the posters for bigger versions!